With three consecutive wins, the Toronto Maple Leafs have been riding a hot streak lately, and on Thursday afternoon they rode something else – the subway. More than a half-dozen members of the team, plus Head Coach Mike Babcock, hopped on the subway at Union Station in full gear shortly after 11 a.m. in order to head to a public practice at Nathan Phillips Square. The players took the subway to Osgoode Station and then walked the rest of the way to Nathan Phillips Square, creating quite a spectacle. Once at Nathan Phillips Square, they met up with the rest of their teammates who had taken a team bus and hit the ice for a 30-minute practice. 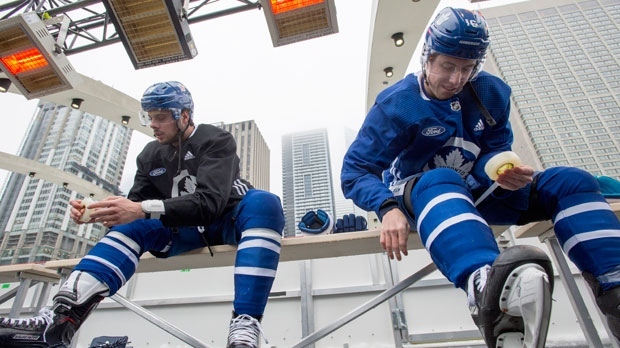 The Maple Leafs hold an outdoor practice somewhere in the city each winter but this is their first time at Nathan Phillips Square. Hundreds of fans showed up for the occasion, filling temporary bleachers that were set up on the south side of the rink. Tavares said that outdoor practices like the one held on Thursday afternoon “make you feel like a kid” and can relieve some of the monotony of a long NHL season. 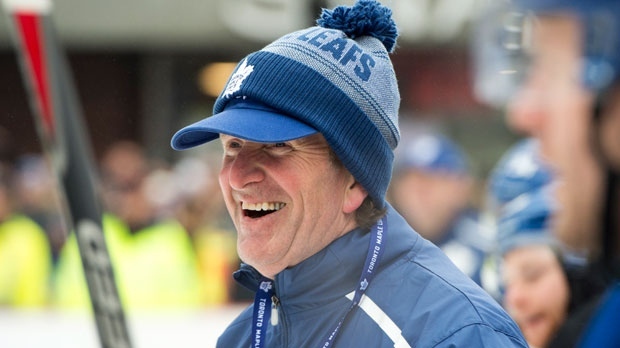 For his part, Babcock said that the open practice presented a unique opportunity to bring the team to fans. 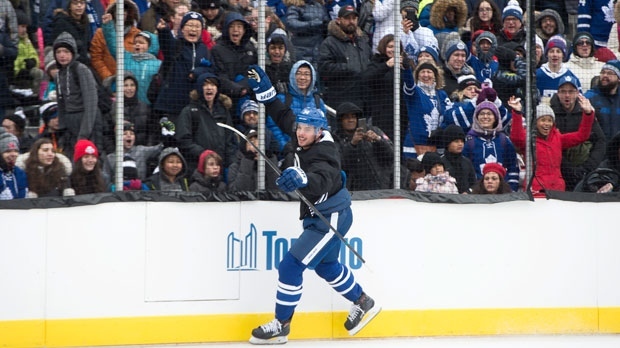 The open practice was just part of a full-day of hockey events at Nathan Phillips Square. There was also a youth hockey clinic at the rink early Thursday morning, free warm beverages for fans and a game featuring a group of Maple Leaf alumni and city councillors.